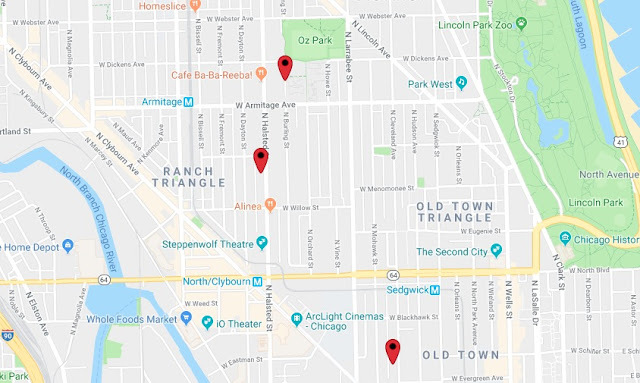 Chicago police today issued two community alerts for Lincoln Park residents: One warns about a series of robberies and the other warns of a catalytic converter theft pattern. Detectives generally release community alerts when they believe that a series of crimes is the work of a single person or group. Approximate locations of the three robberies. • Shortly after 10 p.m. on Wednesday, July 18th, a man was pushed to the ground and robbed of his phone in Oz Park, 2021 North Burling. The three offenders fled in different directions after the mugging. • A woman was robbed as she walked with a baby stroller in the 1800 block of North Halsted around 1 p.m. on Saturday, July 21st. Two offenders were chased by a witness who ordered the robbers to put the woman’s phone down. The pair complied, however, they then continued running with the phone case, which contained the victim’s credit cards, ID, and cash. The alert described the robbers as two to three male African-Americans between 16- and 22-years-old. Our sources said all three wore hoodies and one wore a hat during the Oz Park incident. On Halsted, the offenders were said to be 6-feet tall and 180 pounds with one wearing a black top and the other a red top with blue jogging pants. Anyone with information about the robbery pattern is asked to call Area Central detectives at (312) 747-8380. Catalytic converter thieves have been on the prowl across the North Side, but it's been nearly a year since police reported a related pattern in Lincoln Park. The catalytic converter is part of a car’s exhaust system that contains expensive metals including platinum and palladium. It’s visible on the underside of cars and thieves may collect $100 to $200 for every converter they saw off and deliver to scrap yards, police say. Replacement will cost the victim about $1,500. 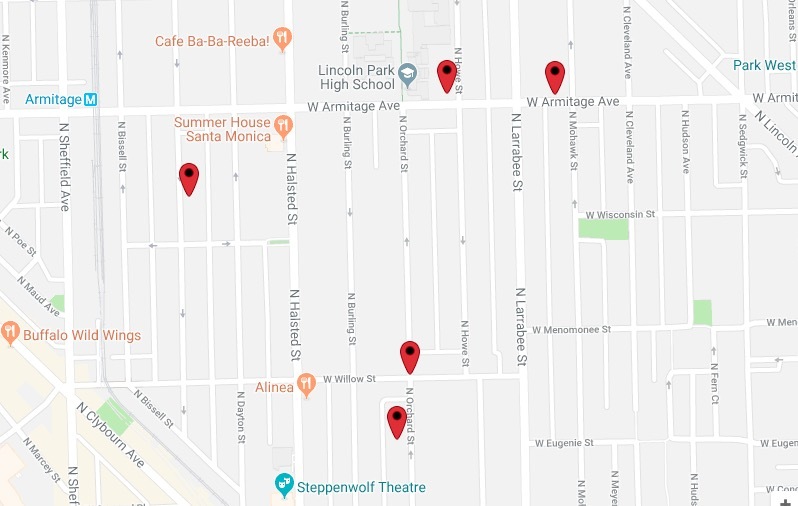 Approximate locations of recent catalytic converter thefts. Theft crews use portable saws to cut the parts from cars' undercarriages—usually during overnight hours. They will often play very loud bass music from their getaway car to help disguise the sound of their saw. Start to finish, the crime can take just 45-seconds to complete. 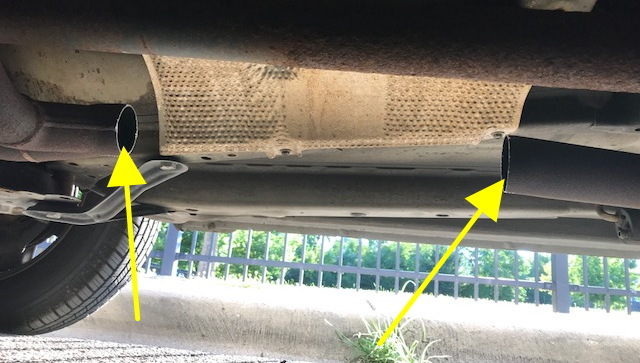 Even when a catalytic converter theft is reported to 911, the culprits have probably already started their get-away by the time police are dispatched. • The morning hours of Wednesday, July 18th, in the 2000 block of North Howe. SUVs and other vehicles with high profiles are often targeted because their high clearance gives thieves more room to operate. Anyone with information about the catalytic converter thefts can call Area Central detectives at (312) 747-8380.